Torrance, CA (November 20, 2018): We are excited to announce that TBK is back! 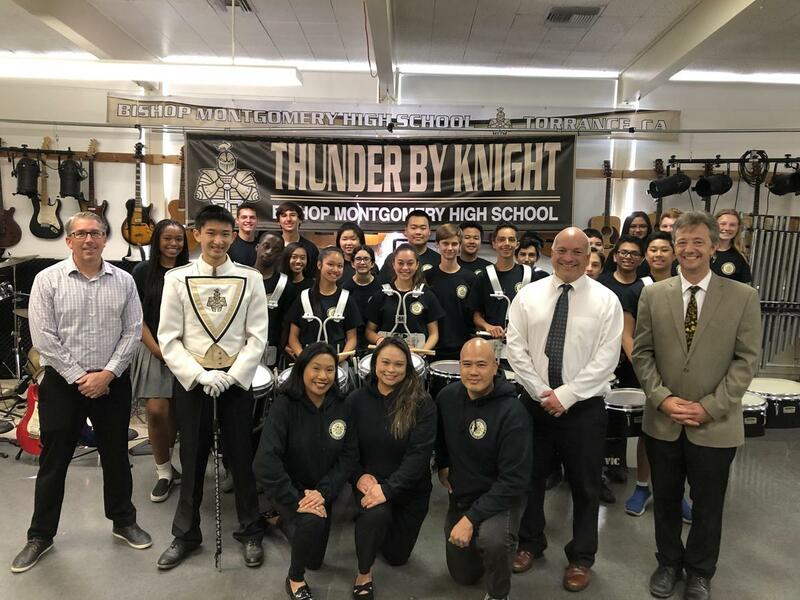 Last week, we surprised Jovy Bartilad-Garcia ‘93, Robert Lesaca ‘90 and Vanessa Tamayo ‘93 with the announcement that we are bringing Thunder By Knight back as the official name of the BMHS band, drum line and color guard. On their visit, BMHS Band Director Eric Hankey presented the three alumni with sweatshirts adorned with the TBK logo. 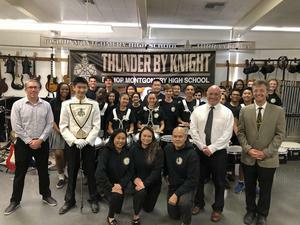 After the presentation and announcement, Hankey, Garcia, Lesaca, Tamayo and BMHS Director of Development Andy Marafino walked to the band room where they were welcomed by Principal Dr. Jim Garza and the members of the band. "Jovy, Robert, and Vanessa were instrumental in starting the TBK Alumni Scholarship last year and have been wonderful to work with in so many ways," says Andy Marafino, BMHS Director of Development. "We are excited to bring the name back as it represents so much that is great about BMHS, most importantly our students and our alumni."